One of only three MLB ball players to hit 3000 RBI's with 500 home runs during their career, others being Hank Aaron, Willie Mays and Eddie Murray. He achieved the 500 home run milestone on May 11th, 2003 against the Cleveland Indians. 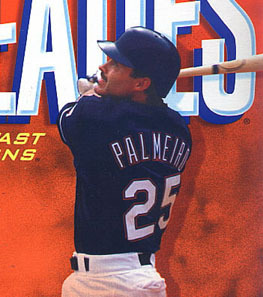 Palmeiro's performance increased markedly after the age of 30, perhaps due to his use of steroids. After testifying before Congress "Let me start by telling you this: I have never used steroids, period", he was suspended after testing positive for steroids on 1 August 2005. The particular steroid in question could not have been acquired from food supplements. Endorsed Viagra.